It’s interesting to consider how prestige television has changed the way we ingest true stories. It’s not that long ago that real-life dramas like the murder of Gianni Versace and the standoff with David Koresh would have been exclusively the territory of original movies on television or in film and not major mini-series (FX’s “American Crime Story: The Assassination of Gianni Versace” and Paramount’s “Waco”). But the emergence of the “true story limited series” as a ratings and awards phenomenon has changed the way these stories are being told. 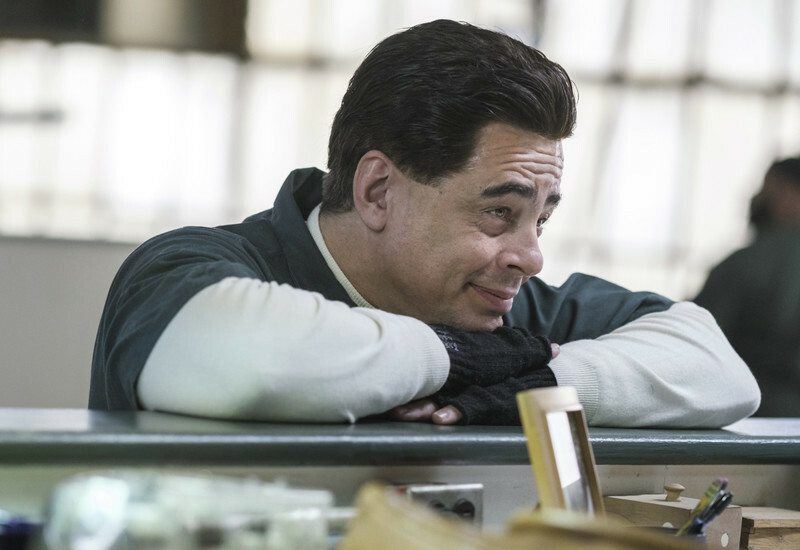 Take for example Showtime’s “Escape at Dannemora,” premiering this Sunday and then unfolding over seven hour-long episodes. It allows for a different degree of detail than we would get in a film, sometimes to the benefit of the final product, sometimes to its detriment. In June 2015, two inmates at Clinton Correctional Facility in upstate New York named Richard Matt and David Sweat were found missing in the morning bed check. It turned out that they had been planning an escape for months, slowly carving a path to freedom that required the help of not one but two officers at the facility, Joyce Mitchell and Gene Palmer. It was slowly revealed that Joyce aka “Tilly” had a relationship with both men and had funneled them the supplies needed to escape, even planning to pick them up when they did. It’s the kind of lurid, crazy story that’s perfect for a film or TV adaptation and Showtime has assembled an impressive crew for it. Benicio Del Toro plays Matt, the more violent of the two offenders, but he doesn’t imbue it with as much menace as you might expect from the assassin from “Sicario.” That would be too easy. He captures the opportunistic side of Matt, someone who took the chances that were in front of him, whether they broke laws or moral codes. Dano is equally fascinating as Sweat, someone who keeps trying to get transferred someplace warmer than upstate New York and really only gets involved with the escape when it looks like he has no other option. Though Dano isn’t often known for roles like tough convicts, he’s believable from minute one. However, it's Patricia Arquette who steals the series as Tilly. With an accent that’s “Fargo”-level exaggerated (and yet somehow perfect), Arquette finds so many layers to this character that a film’s running time wouldn’t have allowed. Tilly is like so many people who hate their mundane existences, people who cheat on their spouses to alleviate the boredom more than anything else. When she sees the opportunity to have quickies with an attractive man like David Sweat in the backroom, she takes it. And then she kind of falls for Sweat, broken when he’s moved out of the shop in which she’s the steward. This connection between Tilly and Sweat is what Matt sees and exploits, having a physical relationship with Tilly as well. There’s a fantastic scene when Matt tells Tilly that her dreams will come true and the three can run off to Mexico together soon. Tilly isn’t so much excited as terrified. Dreams are one thing; reality is very different. 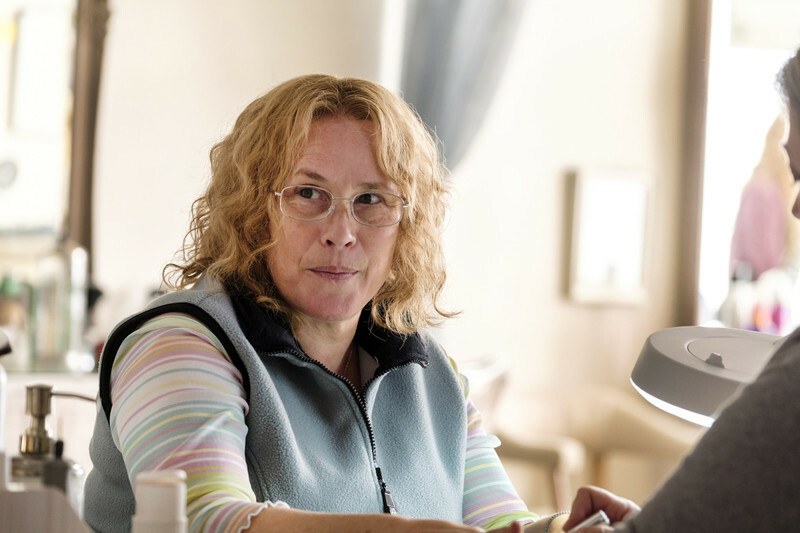 “Escape at Dannemora” is an interesting double-edged sword in that the seven-hour running time allows for more detailed character work but also drains the piece of the urgency it would inherently have in a two-hour format. There are times when it feels like the escape is being planned in real time; I wanted the intensity to increase in the middle episodes, when it feels like it sags. And yet the decision to draw the story out really works to the benefit of the greatest strength of “Escape at Dannemora”: its great cast. The Emmy race between Amy Adams ("Sharp Objects"), Emma Stone ("Maniac") and Arquiette should be fun, and I expect both gentlemen to be deservedly nominated as well. Could Stiller have drawn out the same kind of excellent work from his trio in film form or four episodes instead of seven? I think he could have. “Escape at Dannemora,” while well worth seeing for the performances, requires patience that it doesn’t quite repay. It’s a testament to the idea that just because a story can be longer now due to the change in viewing habits doesn’t mean it should.